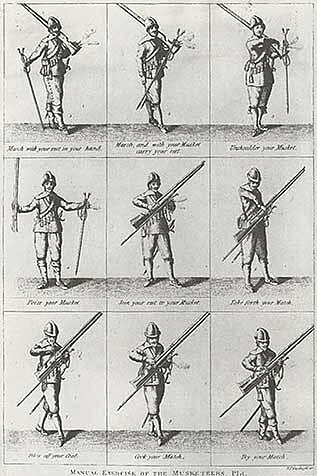 At the heart of the 17th century was the English Civil War when families and parts of the country were torn apart by differing allegiances. Sound familiar? Although, in the 17th century, there was no referendum to provoke those divisions, there were two occasions on which Steyning men (men only, I’m afraid) publicly signed up to particular agendas. The first, in 1641, was an oath of adherence to the Protestant cause. The second, two years later, was the 'Solemn League and Covenant' which was again, at face value, a commitment to Puritanism – though, in reality, it was a vehicle designed by parliament to gain the support of Scottish armies against the king. Despite every parish priest being required to read it to their congregations and 'exhort the People to be chearful in the taking of the oath' fewer Steyning men signed up to this than to the first, more straightforward, Protestation. Religious tensions continued after the Restoration, the Quakers being particularly in the firing line for their refusal to swear oaths, for refusing to pay tithes, for refusing to attend Church and, if they did, for arguing with the minister. When it came to military engagements between Parliament’s men and the King’s men it was Bramber rather than Steyning which was in the front line. Although Sussex eventually became a ‘parliamentary’ county, in the early years of the Civil War the Royalists captured Arundel, at one stage held Wiston and made a push, in 1642, to reach Lewes along the road through Steyning and across Bramber Bridge. Parliamentary troops gathered to defend the bridge crossing and there was a sharp fire fight during which the Royalists were repulsed. Royalists must have kept a low profile after Prince Charles’ escape to France following the battle of Worcester in 1651. But, as the years passed, his supporters began to plot for his return. Conspirators met in various Sussex houses including that of Major William Smith in Steyning. When the conspiracy was uncovered in 1658 Major Smith gave an extensive deposition to the court detailing all those who had been involved and their hopes and plans for the raising of troops to support Charles. We don’t know where in Steyning Major Smith lived but it would be intriguing – if fanciful – to wonder whether the Cavaliers hat found in the 1920’s in the roof space of 25 High Street could have belonged to him. Conspiracies, intolerance of other people’s views, intransigence and confrontation; the Civil War in the 17th century was one of the unhappiest episodes in our history. And, yes, they do seem to have uncomfortable resonances today.